Formal English is used in “serious” texts and situations — for example, in official documents, books, news reports, articles, business letters or official speeches. 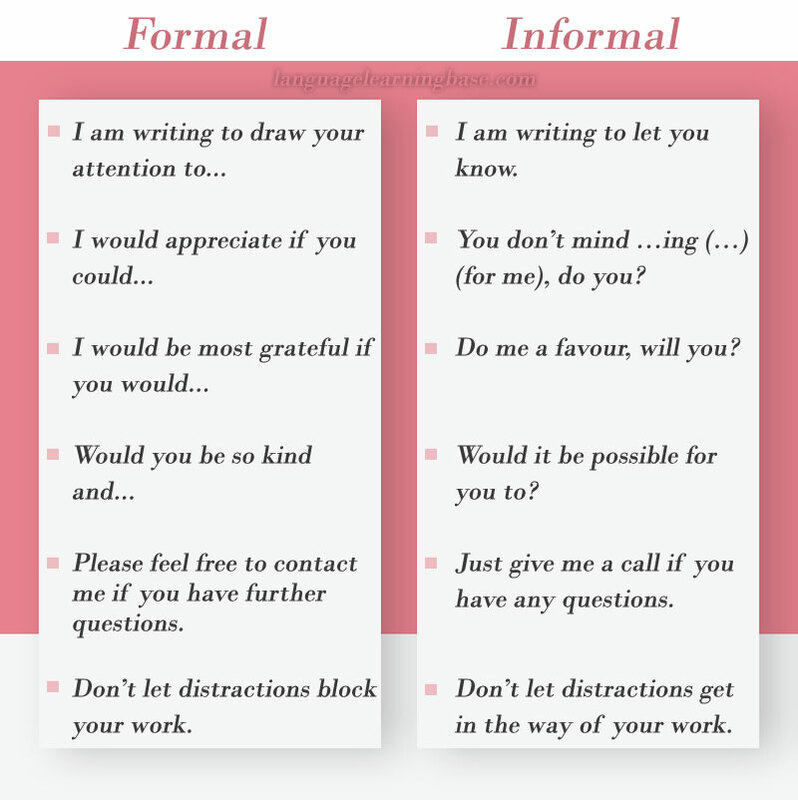 Informal English is used in everyday conversations and in personal letters. More read. You will learn to associate certain words and phrases with different types of writing. Most uses of get are informal. In general – phrasal verbs are informal. Most shortened words are informal. 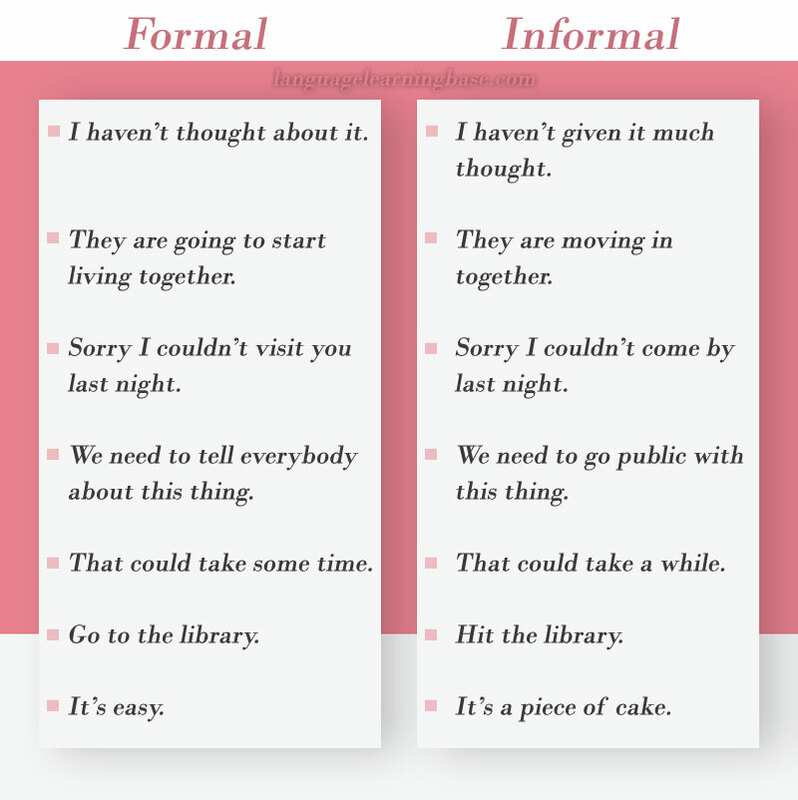 The following list will help you to recognize the informal and formal ways of saying the same thing.